Yes, your eyes are playing tricks on you. 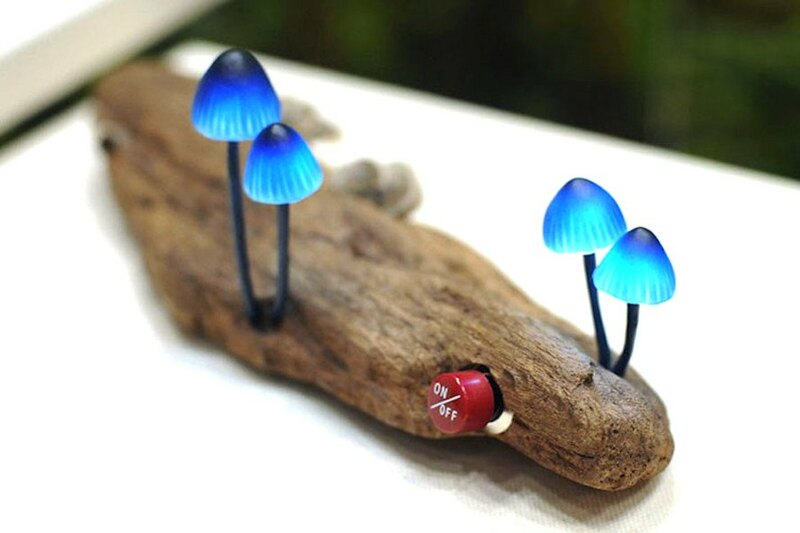 What looks like a mythical treasure one would stumble upon in a storybook tale, is in fact a beautiful eco-friendly combination of reclaimed wood and LED lights. 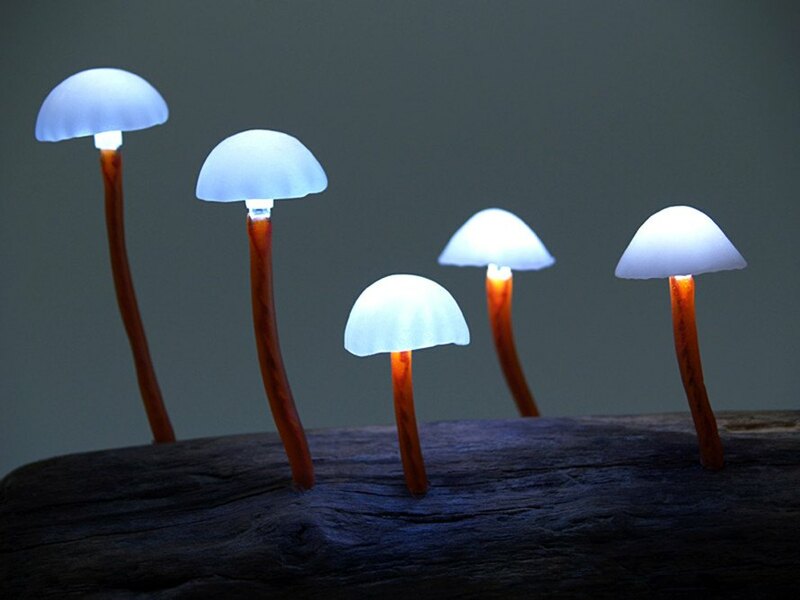 Great Mushrooming draws inspiration from the world’s best designer, Mother Nature, to create these luminous mushrooms whose only magic lies in their ability to charm. 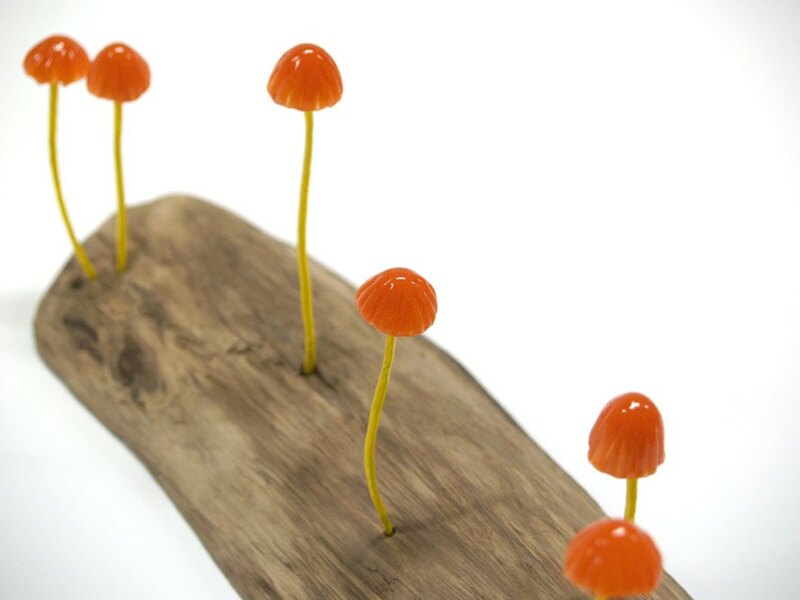 Founded by Yukio Takano, the Great Mushrooming project could easily be classified as fine art. Carefully handcrafted from glass, discarded wood and LED lights, the newly-formed fungi’s precise details are cheekily offset by the industrial plastic on/off dial affixed to the side of each lamp. We’re struck by how this seemingly odd contrast adds a certain analog appeal to each light. 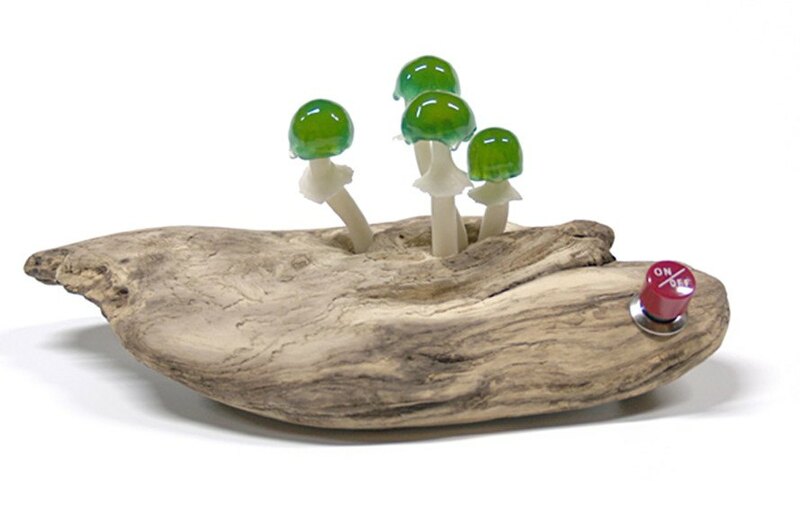 From another article: "The Great Mushrooming, only appears to sell the lamps at local design festivals. (He told one blogger the works are too brittle to ship.)" so..how do we buy one? It looks so cute and nice ,I'd like to know where i can buy it from ? pls let me know . It's obviout that the only thing inspiring today designers, is nature. 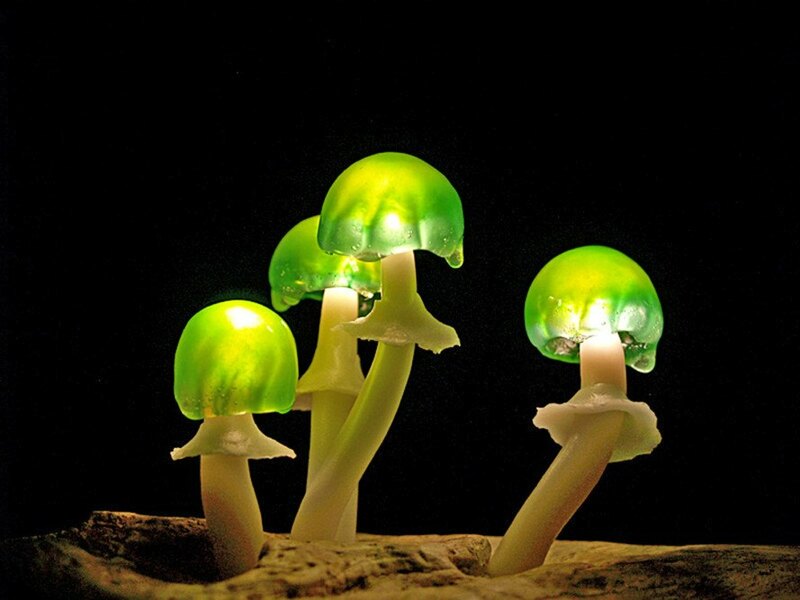 Nice mushroom lights by the way. I vove this kind of design and I also post about same things on my blog. 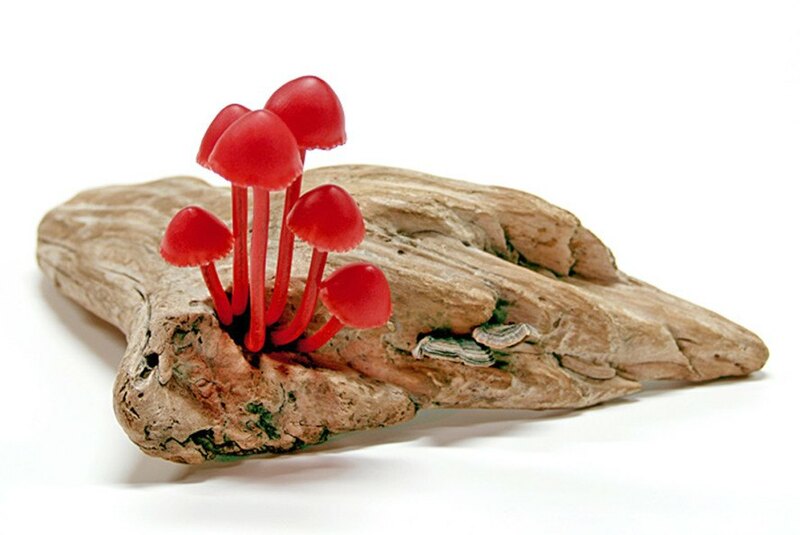 Founded by Yukio Takano, the Great Mushrooming project could easily be classified as fine art. Carefully handcrafted from glass, discarded wood and LED lights, the newly-formed fungi’s precise details are cheekily offset by the industrial plastic on/off dial affixed to the side of each lamp. We're struck by how this seemingly odd contrast adds a certain analog appeal to each light.